Gavin and Stacy both grew up in La Mesa. 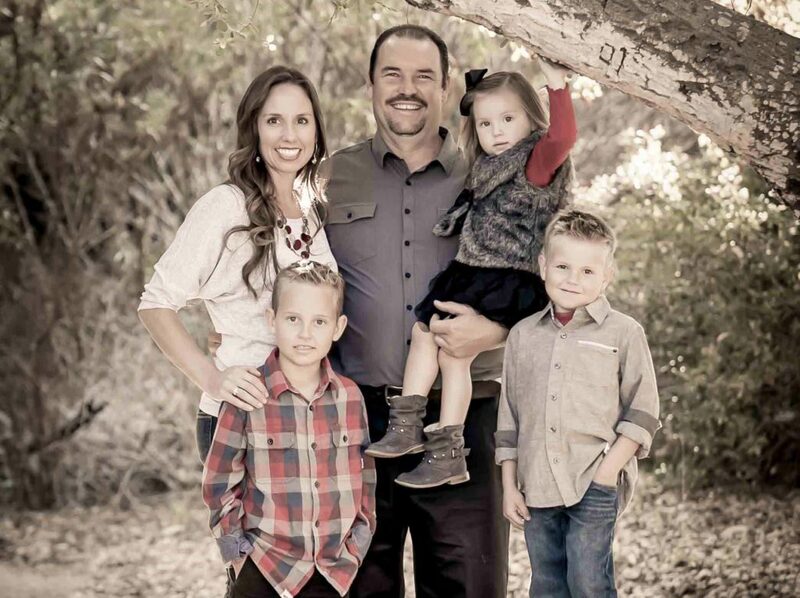 Stacy works at Grossmont Hospital and Gavin is a certified Arborist who owns a tree and landscape company. As a kid Gavin always had a green thumb, a true city farmer since 12 years old. As a hobby Gavin and his father would drive up north to get grape juice to then ferment at home. They started giving it away as gifts to family and friends about 20 years ago. Gavin’s passion for farming lead him to planting and managing vineyards within East County San Diego. Their first commercial release was in 2009. Wyatt Oaks Winery was named after their first son who is now nine years old. Since then they now have a 6 year old boy Weston and 3 year old girl, Aubrie. Their dream is for it to be a family run business. The McClain kids have always been very involved in the wine making, Stacy’s father does the lab work and Gavin’s Dad helps with harvesting and processing the grapes. Wyatt Oaks is a small lot winery using only local fruit, and producing approximately 300 cases per year. Gavin & Stacy are so very grateful and excited to partner with San Pasqual Winery in this Urban winery adventure. 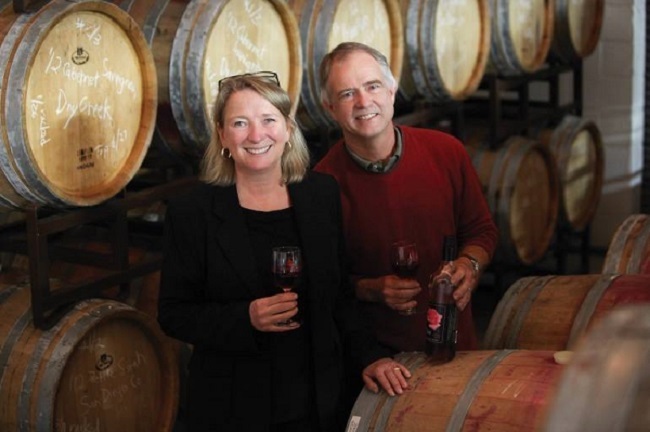 Long time La Mesa residents Mike and Linda McWilliams bought San Pasqual Winery in 2009 when it was San Diego’s first urban winery, then located in Pacific Beach. After working with City Hall to update La Mesa’s zoning regulations to permit production of wine and beer, they established a larger production facility on Center Street. This led the way for what we refer to as La Mesa’s Industrial Revolution, resulting in two breweries and now Wine Works all located within easy walking distance in La Mesa’s industrial area. Mike and Linda are active in the San Diego County Vintners Association, with Linda currently serving as President.